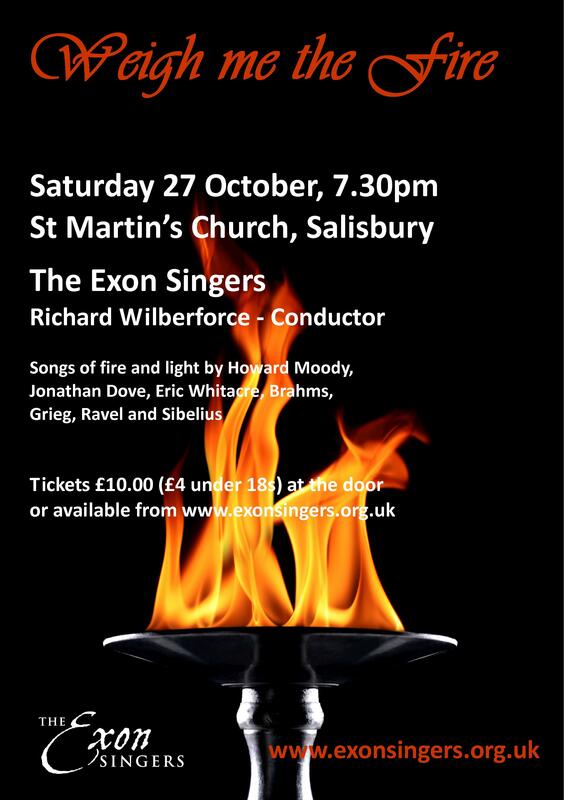 Weigh me the fire – songs of fire and light from around the world, including music by Howard Moody, Jonathan Dove, Eric Whitacre, Brahms, Grieg, Ravel and Sibelius. Tickets priced at £10.00 (£4 for under 18s) available on the door, or by sending an email here. 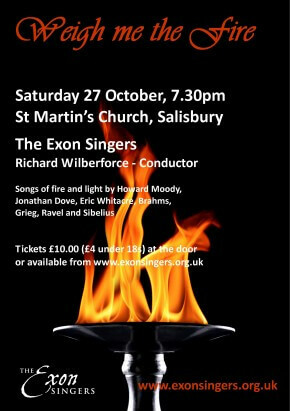 Download the concert poster image here – please send to your friends and help us to publicise the concert. Many thanks !